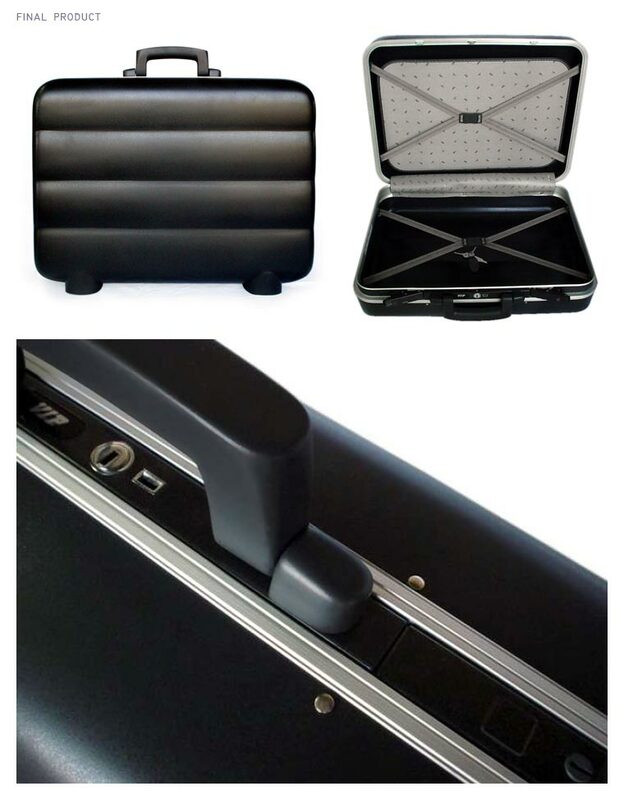 Back in early 2004 I went to VIP Luggage and handled two design projects. The first one was called AFL, which was finished in a very tight schedule of 21 days and is in production since 2004-2005 with a production volume of half a million per year. Though it was done considering lot of industrial constraints but it is very important to me as it was the first ever ‘real world’ design exposure to me and the first ever product designed by me which went into mass production. > Making a framed luggage focusing the economy segment based on the market research and observation of usage pattern of the users of the particular segment. 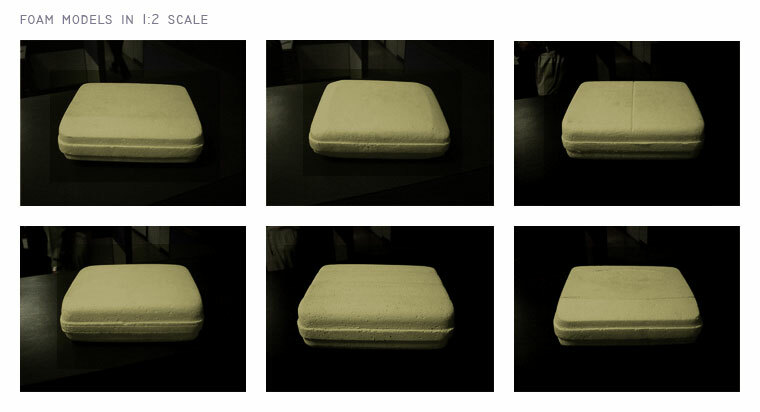 > The design should differentiate the luggage from any existing frame luggage. > It has to be complex enough for manufacturability so that all the small setups are not able to copy it easily! After doing market surveys in several cities of India, the concept generation started, few concepts were form based and others were focusing towards new features. Several forms were crafted out in thermocol and PUF in 1:2 scale based on the above concepts. From those five concepts were chosen for final development. 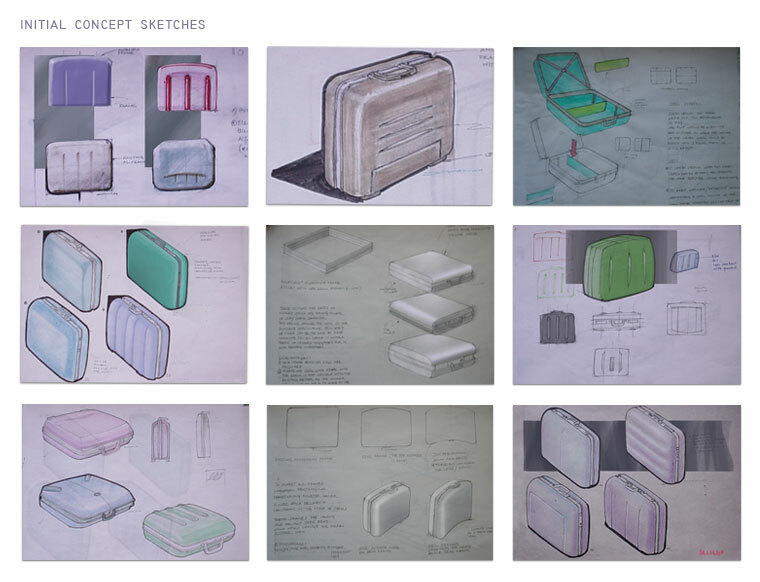 Out of these concepts one concept was finalized for the new luggage and developed farther. Rests of the concepts were put in the concept banks of future luggage. Then one form was selected for father development (I would explain why this form was chosen). 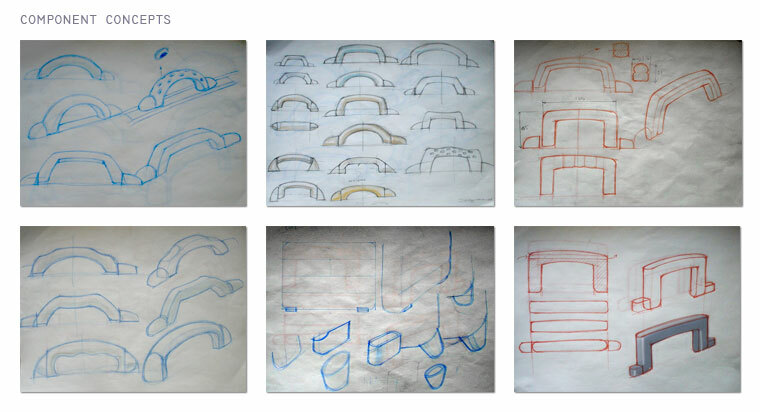 Then based on the particular form I developed the other component and accessories like handle, lugs etc. A number of foam models were generated to check the ergonomics and usability and then many permutation combinations with the final form were carried out to find out the best combination. The final one then detailed out in 1:1 foam models along with it’s components. Based on this the form was refined further. Once the design was finalized, positive mould ware made using medium density particle boards. The ABS sheets were vacuum formed. These ABS shells were then finished, painted, fixed to the aluminium frame and assembled with all required accessories to make a working prototype of the luggage. As this luggage was focused towards economy segment, it was found that for this user group sturdiness, durability and volume are more important than any other aspects. The final concept had ridges on the side surface which generates a perception of more sturdiness, mainly because of the aluminium luggage which are seen in adventure movies of Hollywood! This kind of form also helped getting less scratches on the surface compared to a conventional one. And last but not the least, being substantially different and more complex in terms of design, the tooling would be more complex and expensive, which would help buying in more time for the other companies who creates cheap duplicates in no time!